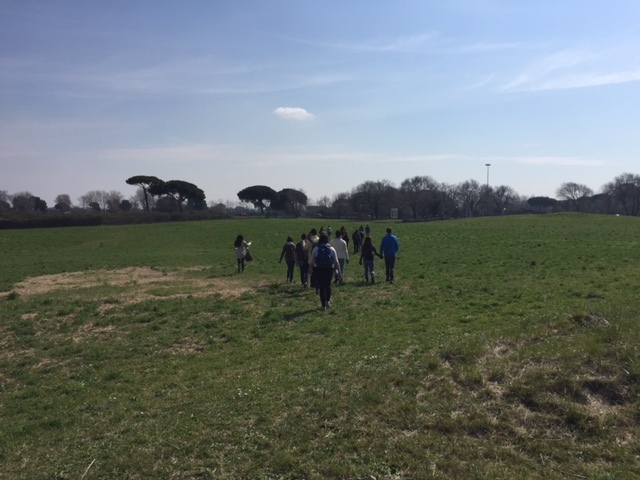 A few days ago, we visited ancient Ostia, a port city of Rome at the mouth of the Tiber River. 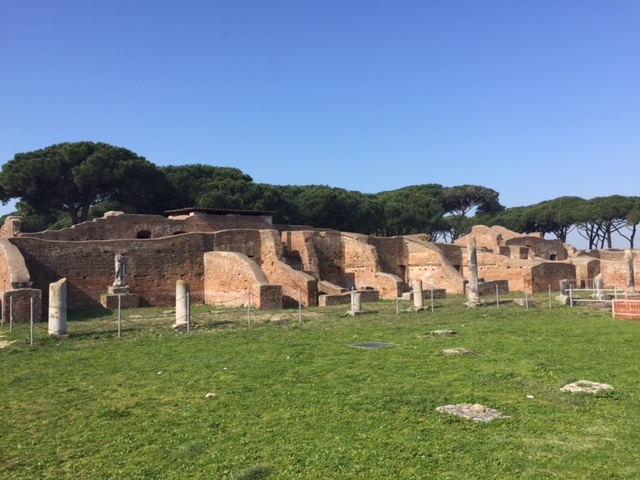 This site is extremely similar to Pompeii, as described by T. Ted, but it tends not to attract as many tourists as Pompeii does. We were given a few hours of free time to roam and explore in this ancient city, and we found some abandoned underground tunnels that led to different locations of the site. 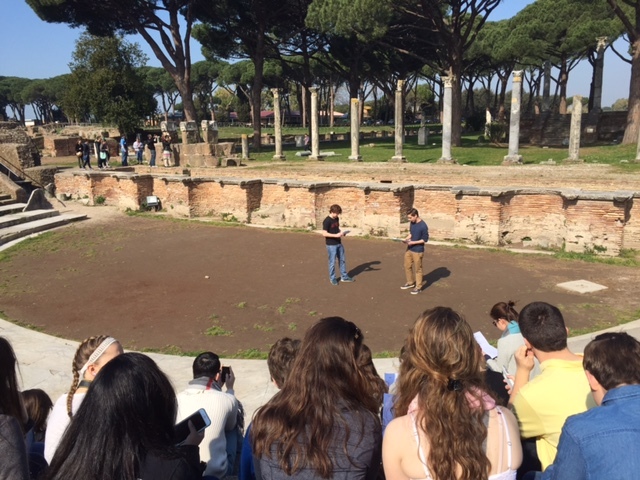 We congregated in the theater of Ostia to watch a scene selected from an ancient play written by Plautus. Performed by two of our students, Tom and Drew, their act attracted some groups of tourists who happened to be there and gained applause for their energetic performance! Moreover, it deeply resonated with me when I saw the tomb of Percy Bysshe Shelly at Protestant Cemetery. Coincidentally, we read a poem from Shelly, of which I wrote an explication in my British Literature class with T. Ellen in my junior year. 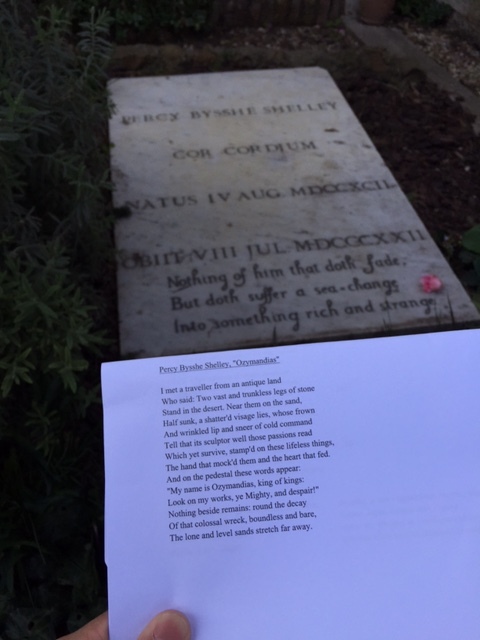 While visiting the tombs of British poets, I was surprised that I already had sufficient knowledge in the field of British history and poetry. Traced back to the moment when I decided to take British Literature during my junior year, I took it out of curiosity and never expected I would ever use this knowledge, for my interest lies more in math and science. This visit, however, reminded me of the importance of obtaining a wide range of knowledge rather than always specializing in one field. Some information that seems to be trivial might unexpectedly be useful, giving me a much more matured perspective to approach various things in the future. We met with T. Eric Mayer, our previous principle but a current teacher at St. Stephen’s school. 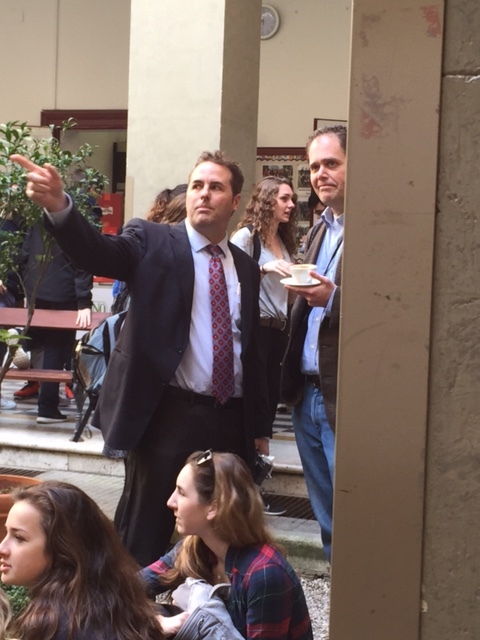 St. Stephen’s is an international school that is located in the heart of Rome. As we arrived at the library of this school, we were invited for coffee and conversation with the students there. It was surprised for me to know that T. Megan Rose was also a teacher at this school, and during our visit, she met with a student whom she taught a few years ago. It is always exciting to see familiar faces (Westtown faces! ), especially when we are visiting such a distant place from Westtown. I am looking forward to spending the last two days with this group!